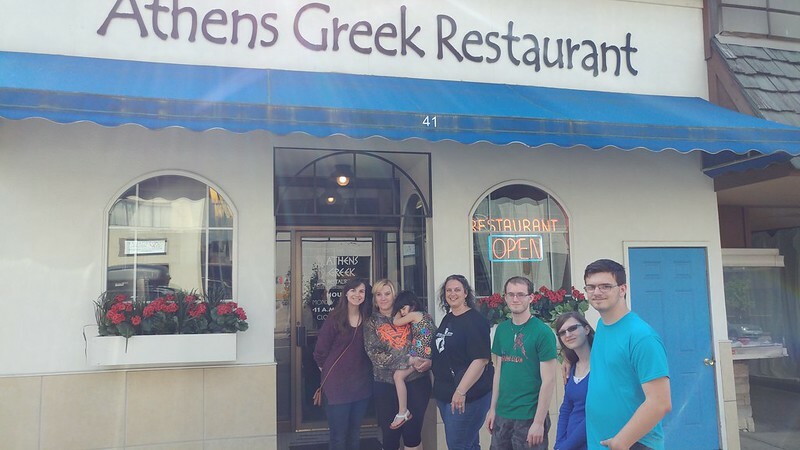 We stopped for dinner on Thursday evening at the Athens Greek Restaurant in downtown Mansfield. 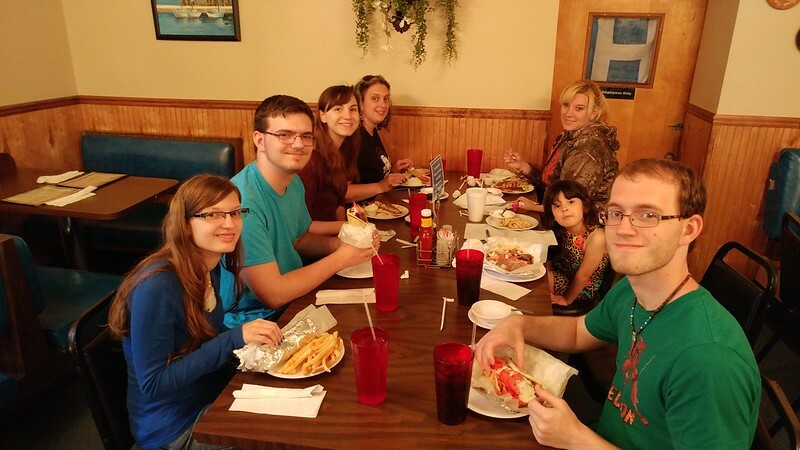 We were impressed by our server and by the manager. They were very friendly and helpful. 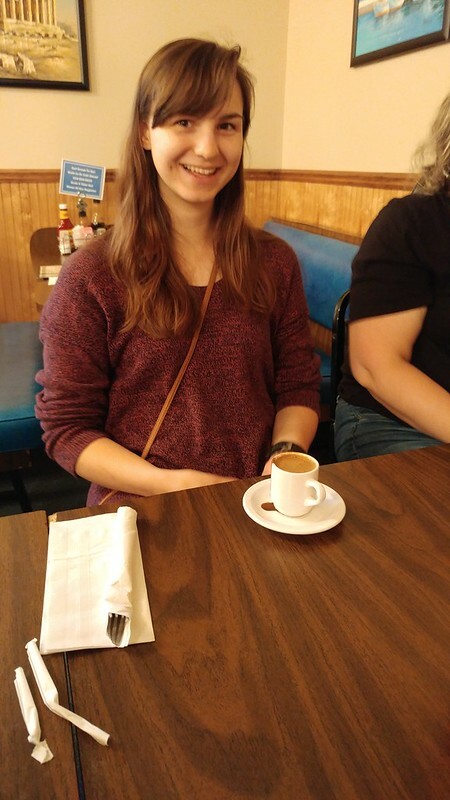 Rachael drank her first Greek coffee. Amber ate her first gyro sandwich.